The tree in for foreground is the larch tree Larix larcina (Pinaceae). It succumbed to disease in 2010 and was removed. 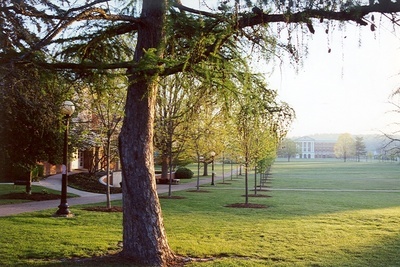 Left is the Alexander Mack Memorial Library; in the distance: the McKinney Center.